All things considered, this was a rough week. It started off with the mental and emotional career decisions I made and progressed into a cold or perhaps even the flu. For a more biased and detailed account keep reading. Work was good this week though. I have been working on some more complex models than usual and I made significant progress on them this week. Additionally, some ruckus was raised about the general failure of our department to fully document everything, except for the fact that my little group is easily the most up to date. Completely unintentionally, simply doing what we are supposed to, we are suddenly model employees. It's like when a teacher says, "do X, Y and Z" and you show up the next day as one of three people that did X, Y and Z. Coaching went well. 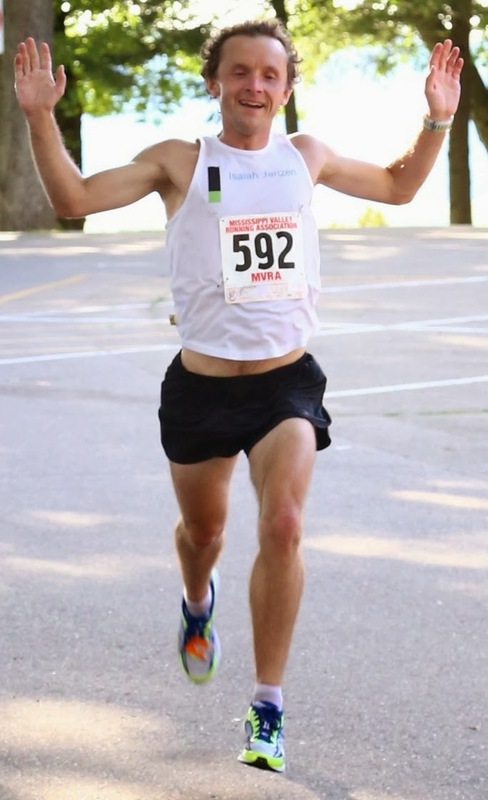 One of our setback distance runners is back training again, which is a a good thing. However, communication with these college students is continually difficult. The issue of communication is worthy of at least one future article. One very applicable side effect is that I can see in my own professional career my recent past failures to communicate effectively. This is providing a great learning experience for me. On the investing side DHT ended the week at $1.05. Welcome to investing in small and micro cap stocks! Weekly swings of 25% are common here, however as other stocks like AAPL have shown us a few 25% swings up are not out of the ordinary. On the social front my sister and two of our friends came down for the weekend and we had a nice time. We went to a wind symphony concert at my church, a winery, Thai food, a brewery, Ulysses Grant's house and then out to meet some of my Dubuque friends. I'll sum up the weekend with a text message from one of my friends, "i think your sis is my new best friend." On the sickness front the last four days have not been great. It started with a sore throat in the morning that went down during the day Wednesday but it was worse each successive morning when I woke up. There has also been an ample amount of mucus, some light headaches, and plenty of lethargy. These events are significant for me for several reasons, I rarely get sick and when I am in heavy training I am always sick. I will explain, according to Runners World people that run more than 60 miles a week are more than twice as likely to get sick as people that run less than 20 miles a week. More than an hour of exercise per day seems to compromise your immune system. Well, sometimes I run more than twice 60 miles a week and I average more than 60 miles per week year round. However, when you run more your body is in recovery mode overtime. When I get into the low 100s I start to have the ability to do things and recover incredibly fast. I can seriously do workouts when I am running high mileage that I can not do when I am running less mileage even though I am in comparable shape. In other words, since 2006 when I started training seriously I have had more runny noses and sore muscles than the first 20 years of my life combined, but I have only once been sick enough I existed between the bed and the table. That was also an exception because it was on the approach to Broad Peak in 2009 and I think it was more about eating something than shaking one's hand who has the flu. I feel my immune system is incredibly strong. I mean one sick day in the last six years and that was from some form of food poisoning? I feel very fortunate because I recently watched Contagion, read about the 1918 Spanish Flu, and I regularly watch The Walking Dead, which is based on a virus. I also was reading about the 60 million people that died in World War Two yesterday and I am so thankful that I have this opportunity to live that I do now. We all come from the strongest that existed. Our ancestors survived the Bubonic Plague which killed up to 25% of the world. Our ancestors survived the 1918 Spanish Flu. Our ancestors survived dozens and hundreds of wars and various other plagues and epidemics. We come from generations of survivors. Hundreds of millions of people have died along the way for us to get to the point where you and I are here, sitting in Panera, taking for granted more luxury than we ever deserve. There is no good reason I can think of that our ancestors survived and others died. Our entire lives are such a blessing!